Agate:Represents Balance, Harmonizing, and Longevity. Birthstone:for the month of May. 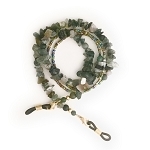 Agate represents balance, harmonizing and longevity, and is a gemstone for those born in the month of May. 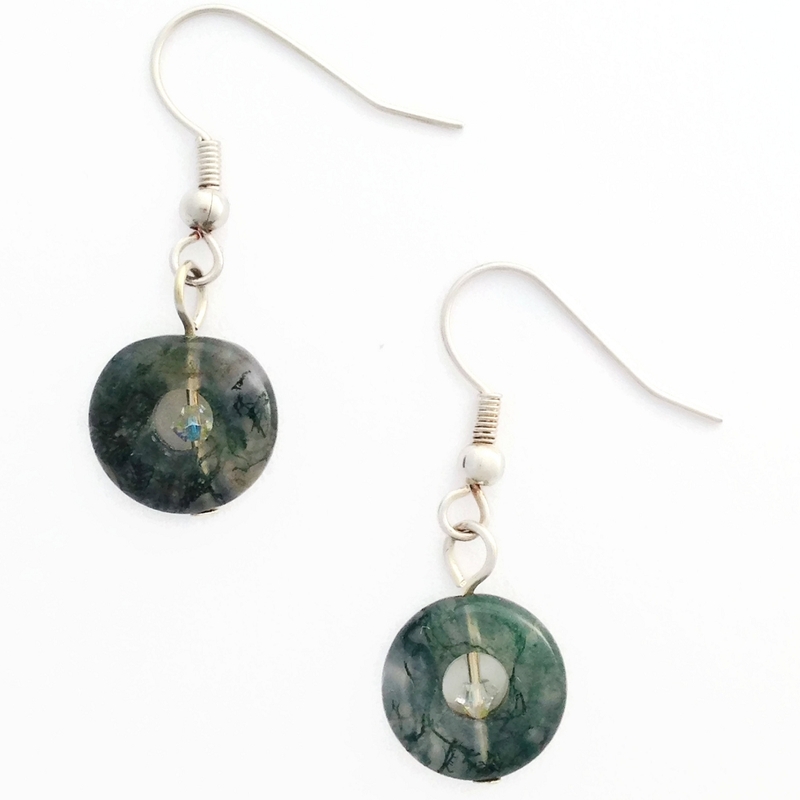 This pair of earrings features Moss Agate donut beads with a tiny Swarovski Crystal in the middle, suspended from silver plated ear-wires. Here is where you can find lovely earrings in Sterling Silver, Gold-filled, and plated wires, posts, and CLIP-ONS, featuring drops and embellishments, and other beads ranging the whole spectrum of color. We typically ship in one or two days. This item ships via USPS First Class Mail with Delivery Confirmation Tracking Number within the U.S. Priority Mail or shipping for destinations outside the U.S. are also available options. This artisan-crafted item comes to you nicely packaged, suitable for gifting, if that's what you have in mind.